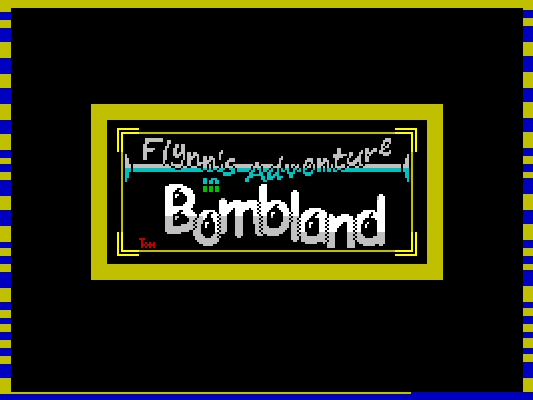 Flynn's Adventure in Bombland was written in 2011 for my then 10yr old son Flynn to fulfill a 25 year itch to learn z80 machine code. 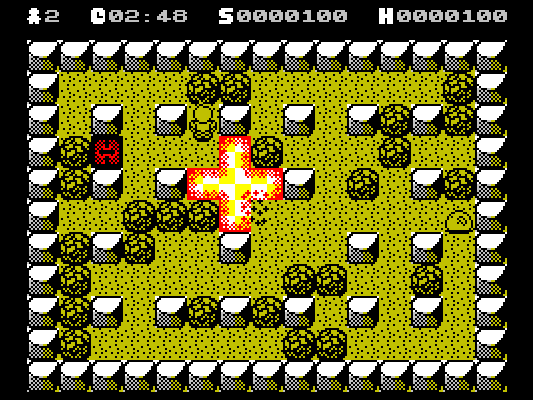 I released the original Demo on the World of Spectrum forums in March 2011 & v1 a month later. v1 included the full game & removed the need for pixel perfect alignment to get though gaps. A bug fixed v1.1b was released in 2016 to include on the B side of The Order of Mazes physical copy. 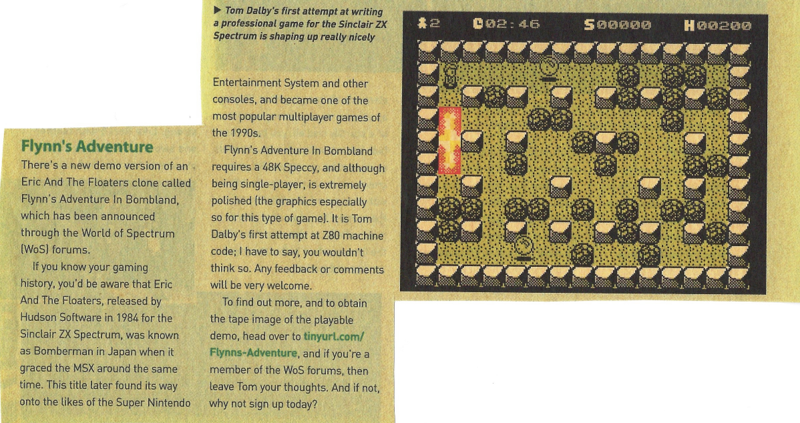 v1.1b fixed a crash when too many bombs were on the screen at once, improved the key define routine & added a simple attract mode. 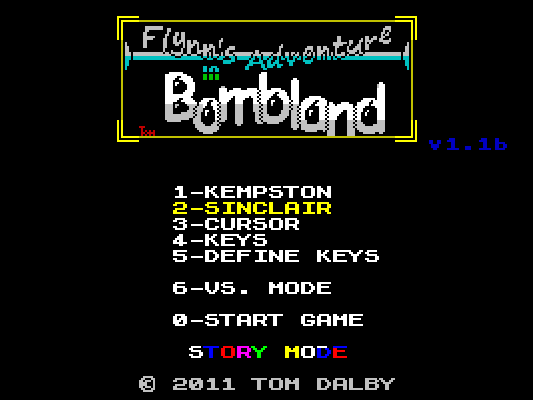 The game revolves around Flynn's quest to rescue his two friends from Bombland via 28 stages of increasing hostile baddies. It includes numerous powerups, an end of game boss battle, bonus levels and a two player mode so you can battle your friends.